Have you done a 1JZ, 2JZ, 4AGZE, BEAMS, or some other engine swap and lost your stock tach? This handy little piece is just what you need to get it working again. 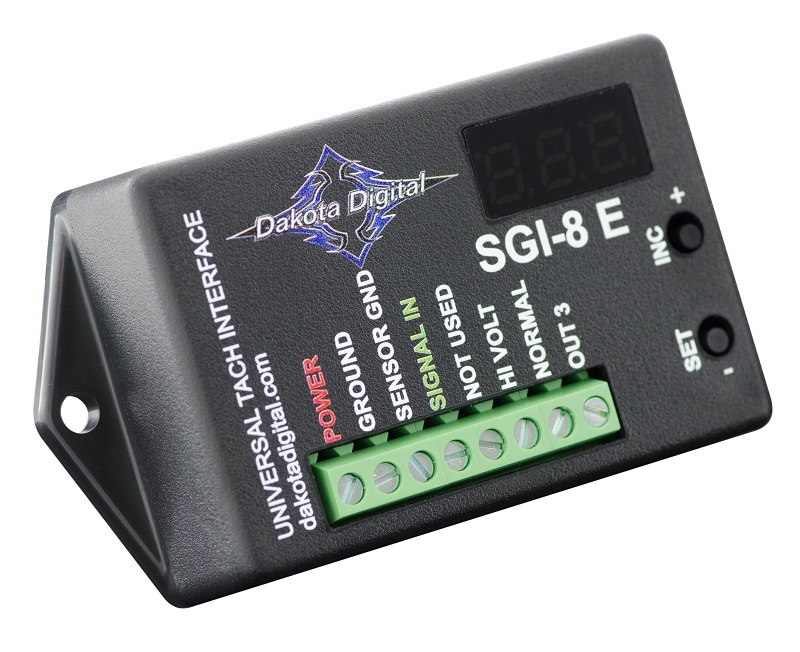 This device reads the tach signal from the new ignition system and calibrates it to whatever setting you want, and even will amplify the signal which is needed for some tachometers. We use these when swapping 1JZ or 2JZ engines into Supras, SC300s, S13s and S14s, or 4AGZE engines into Corollas, Celicas, MR2s, and so on. There are a lot of other engines swaps out there that also could benefit from this tach adapter box! 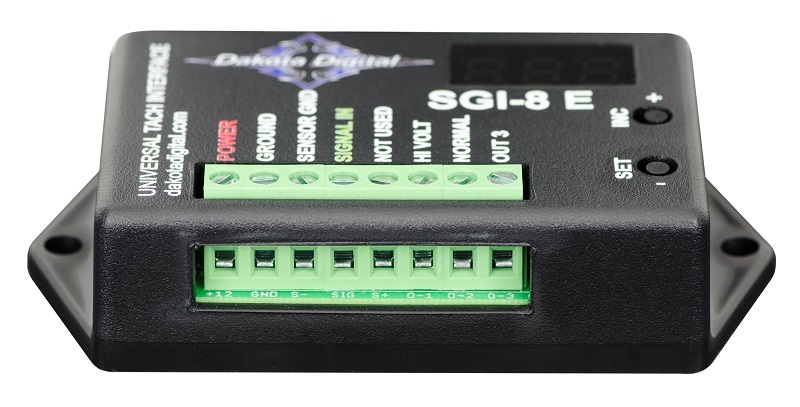 SGI-8E is not compatible with most '86 to current European or '96 to current Jeep tachometers. FAQ - Will it work on…? Unfortunately we cannot test every possible combination, but here is what you need to find out to see if this item will work for your application. There must be a tach signal coming from the engine or ECU that can be fed into the box, the output can then be wired to any analog tachometer (this means is has a dedicated tach wire). It will not fix CAN BUS gauges that aren’t working UNLESS you are running dual ECUs. Dual ECU engine swaps for cars with CAN BUS gauges (2JZ into 350z, E46, IS300 etc). – In some cases, the easiest way to solve CAN BUS gauges not working is to keep the original engine ECU as WELL as the new engine ECU. The new engine ECU runs the engine, but some signals are fed to the original ECU which can send the information via CAN BUS to the stock gauges (in particular the tachometer signal). 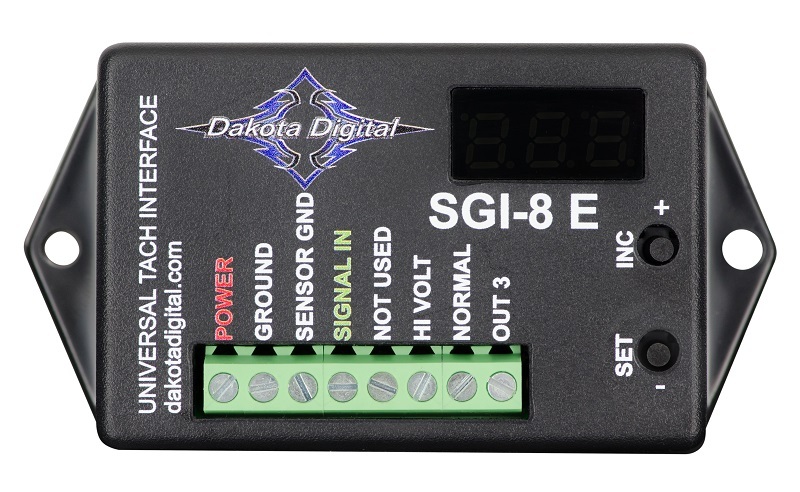 This is done by using an SGI-5 (not an SGI-8) to read the crank sensor speed (magnetic or hall effect) and then convert that signal to one that the original ECU can read. This requires advanced wiring and unfortunately we do not provide that service, but you can speak to the guys at Tweak’d Performance about wiring harnesses for engine swaps. This is by far the best tach signal converter that I have ever used. Easy to install, literally got it working within a few minutes. Have to run it as 8 cyl for an AE86 for the signal to be accurate.